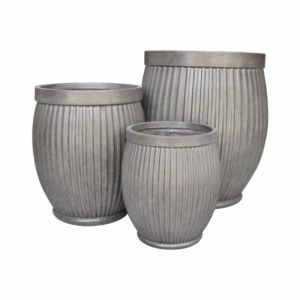 The Clayfibre Ribbed Egg Pot Planter is a classic and timeless piece that is perfect for your garden. The traditional shapes fit well with both modern and heritage gardens. Plant small trees such as Olive standards or Bay trees. The smaller sizes also look great planted with herbs.